Former Harambee Stars Coach Paul Put has opened up on events leading to his resignation and his shock on the Football Kenya Federation's reaction to his letter. 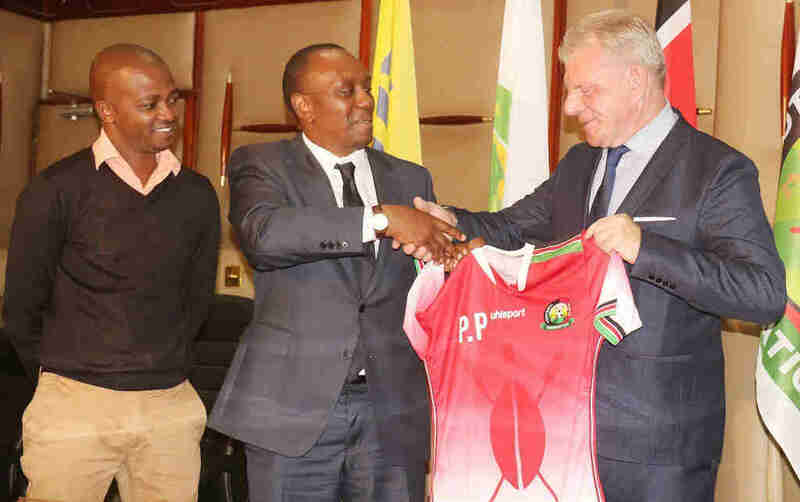 In an exclusive interview with Nation Sports, the Belgian explained that his resignation was just a decoy to prompt FKF into discussions that would have ensured he succeeds in his task but instead, the football federation went ahead to announce his resignation. “I leave Kenya with a broken heart. I resigned to put pressure on the federation so as to respond to my requests but instead, they reacted in a different way and went to the press announcing my resignation before even responding to my letter which, to be honest, was confidential that I expected they will come back for discussions,” Put told Nation Sports. He further explained that he requested five professionals to work with after evaluating the technical bench he had been given by FKF to work with. He concluded by saying FKF were not ready to hire a professional coach. Put resigned just three months into his contract and FKF released statements that he resigned due to personal reasons. “The tactician’s resignation, though down to personal reasons is a setback to the country’s ongoing 2019 AFCON qualifiers as he was an integral member of the Technical Bench," The FKF statement read. During his short stint, Put won the Cecafa Senior Challenge Cup. He had been linked with a mega offer from Chinese club Xinjiang Tianshan Leopard FC but has now taken over as Guinea's national soccer team,Syli Nationale, coach. His deputy Stanley Okumbi has taken over in acting capacity as Harambee Stars coach but FKF President Nick Mwendwa has been quoted saying Harambee Stars will soon have a “bigger and better coach". Adel Amrouche’s name has popped as a possible replacement for Paul Put.